5th generation (5G) mobile networks are the future, and will build the foundation upon which every industry and sector of society will grow and innovate. MWC19 Barcelona is the largest mobile event in the world and continues to expand its reach. Once focused on telecom only, MWC is now the place to be to see the newest innovative technology and product launches. This year, more than ever, we witnessed the automotive, health, and fintech industries launch new products in addition to the traditional mobile launches of new devices, including two novelties: the first 5G smartphones and foldable phones by Huawei and Samsung. The 2019 MWC Barcelona theme was Intelligent Connectivity, and attendees saw how the blazing speed of the 5G revolution will change literally every industry. 5G will update how cities manage roadways, how automakers build their cars, and how drivers use those vehicles to get around – and that is only one sector of society. Here are some highlights of what the Capgemini team saw on the floor this year. Fifth-generation mobile networking is, simply, the story of the future, and it dominated MWC19. 5G’s super-fast speed and reliable connections will create new opportunities for self-driving cars, robotics, telehealth, on-the-go VR, and a thousand other applications, some of which no one has thought of yet. And everyone – processor manufacturers, gaming companies, big-data and AI firms, makers of consumer-electronics, robotics, and wearables, to name a few – are anxious to showcase what they can do. What was different this year compared to last was that 5G became more real and tangible, with companies showcasing real-life examples and use cases. Einride, for example, let attendees operate one of its T-pod trucks remotely using 5G, driving it through a test lot more than a thousand miles away. Where human supervision is required by law, this technology will someday allow one person to monitor a fleet of otherwise autonomous delivery trucks. Although this and other demos were impressive, we are still a long way from day-to-day 5G. That’s because some challenges still need to be overcome, including spectrum licensing, regulation, limited range, high-power consumption and substantial deployment cost. 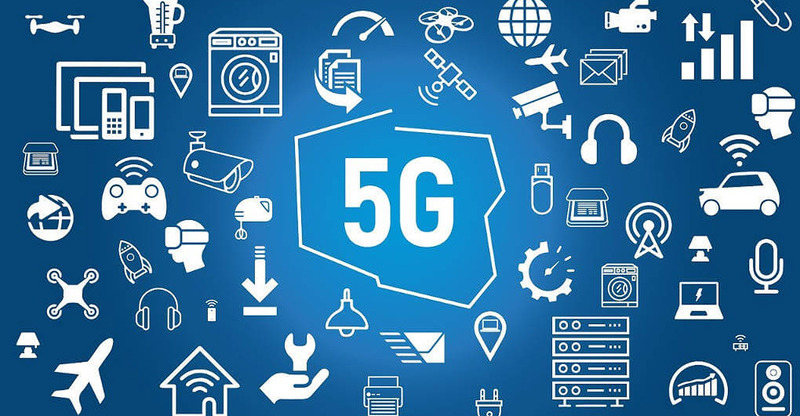 Therefore, 5G requires strong use cases, new business models, and monetization to decide how and when network providers should invest into deployment at scale. Mobile will always be a focus of Mobile World Congress, but this year the show expanded even further into other industries. Automakers: Big automotive announcements once took place at car shows, but manufacturers are increasingly opting for the MWC stage. Peugeot, for example, unveiled its Instinct concept car. The vehicle links to Samsung’s Artik Cloud IoT platform and collects data from wearables, smartphones, and social networks. Peugeot then works with partner Sentiance to compile user profiles based on that data. World-premieres also came from non-traditional manufacturers: Seat unveiled its 5G-enabled Minimo concept car and Ooredoo showed off what it calls a 5G Aerial Taxi. Drones: 5G will enable what MWC organizers call the Internet of the Skies. Deutsche Telekom, Verizon, and others are working on using ultra-fast wireless networks to give new capabilities to cellular unmanned aerial vehicles. Payment solutions: Ubamarket and Driving Mobile Innovation landed the award for Best Mobile Innovation for Commerce. Users of the Ubamarket app can collect loyalty rewards and coupons, scan items in the store to receive dietary and allergy information, and then pay for their purchases in the app on the way out. Many manufacturers showcased new and upcoming 5G handsets, but two grabbed the spotlight: foldable phones from Samsung and Huawei. Samsung Galaxy Fold: The 4.6-inch phone becomes a 7.3-inch tablet when the Fold is unfolded. It has six cameras, 512GB of storage, and dual batteries, but two features really stand out: it will come in a 5G version and the device actually opens up like a book. Huawei Mate X: Huawei’s Mate X won this year’s Best in Show award. It can use both sides of its screen when in phone mode, allowing the user to experience boundless efficiency. You can now browse the internet while writing an email by leveraging the split screen feature. It will also come in a 5G version. These two products may have overshadowed the other product launches, but it should be noted that Sony Xperia 1 and Xperia 10, Nokia 9 PureView, LG G8 and V50 ThinQ, and an Oppo model with a real 10x zoom were also released. Mariya Gabriel, European Commissioner for digital economy and society, reassured show attendees that the 5G future will be a secure and safe one. Addressing concerns about network security issues, she used her keynote address to state: “I’m well aware of the unrest among all of you key actors in the telecommunications sector caused by the ongoing discussions on the cybersecurity of 5G.” She continued to reinsure attendees that the Commission takes the issue seriously and is formulating a plan that will be released soon. Dr. Aisha Bin Bishr, the director general of the Smart Dubai Office, took the stage at MWC to share Dubai’s “Smart City Index” initiative, the first-ever benchmark for smart-city implementation across the globe in cooperation with the International Telecommunication Union and the United Nations. One improvement, for example, will be in how citizens select, buy, and license a car. Under the new system, that process will become one streamlined service in which the government and the private sector will operate under one umbrella. The hundreds of demoes, new products, and presentations at MWC prove one thing: smarter, faster, and more reliable mobile networks are the foundation upon which every industry and sector of society will grow and innovate. Capgemini believes that 5G is a revolution in waiting but, as we saw at Mobile World Congress in Barcelona, the wait is getting shorter to see real-world 5G innovations enter the market. For more insights on what we saw at MWC19, or trends in Telco, you can get in touch with me or my colleagues Chris Landry, Karl Bjurstroem and Michelle Mindala-Freeman.